- The Euro made a nice upside move this week and traded above 1.2500 against the US Dollar. - There is an ascending channel forming with support at 1.2505 on the hourly chart of EUR/USD. - Recently in the US, the Net Long-Term TIC Flows for Dec 2017 were released by the US Department of Treasury. - The outcome was below the forecast of $50.3B as the Net Long-Term TIC Flows came in at $27.3B. Recently in the US, the Net Long-Term TIC Flows for Dec 2017 were released by the US Department of Treasury. The market was looking for the flows to be around $50.3B, down from the last $57.5B. The actual result was below the forecast of $50.3B as the Net Long-Term TIC Flows came in at $27.3B. Looking at the total Net TIC Flows, the market was looking for $-37.0B, but it came in at $-119.3B. This was also well below the last revised reading of $33.5B. The EUR/USD pair is currently placed nicely above the 1.2500 support and it may continue to rise in the near term. 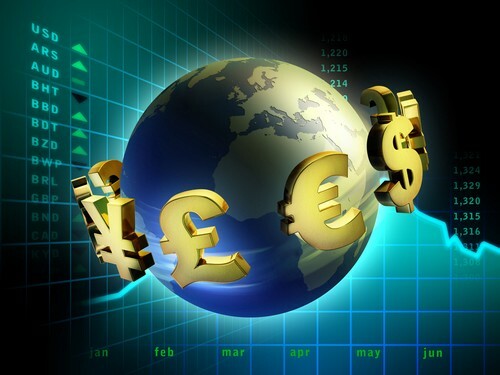 The Euro after a decline towards the 1.2260 level found support against the US Dollar. The EUR/USD pair started an upside move, traded above the 1.2350 and 1.2480 resistance levels, and settled above the 100 hourly simple moving average. The pair even broke the 1.2500 level and traded as high as 1.2546 recently. It may correct a few pips in the near term, which an initial support around the 23.6% Fib retracement level of the last wave from the 1.2384 low to 1.2546 high. However, the pair remains supported on the downside above 1.2500. There is also an ascending channel forming with support at 1.2505 on the hourly chart. Below the channel support, the next major support is at 1.2550 and the 50% Fib retracement level of the last wave from the 1.2384 low to 1.2546 high. On the upside, the pair may soon break the 1.2540–50 resistance area and trade towards 1.2600 in the near term, which is the next major resistance.